You’ve been all over the world but are looking for that next great place to explore. Adventure Keeps You Young At Heart. Exploring Is What You Live For. You crave adventure and are happy to spend more time researching and planning your holidays to make them that bit better. You’ve done the ‘big ol’ group tour or roughed your way through continents before, but those days are behind you. You dislike being on the ‘travel treadmill’ of attraction ticking, constant suitcase packing or whirlwind whistle stop style tours. Fly in, Fly out is for business travel, not exploring. 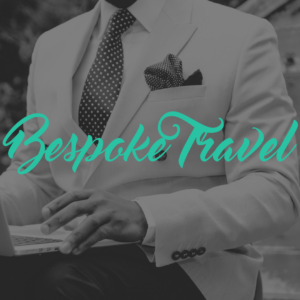 Introducing Your Bespoke Journey, For The Independent Traveller. Bespoke Travel with Boutique South America is the antidote to large ‘mass style’ cookie cutter group tours. You’re not supposed to be one of the herd. You’re supposed to stand out and experience something special. You’re Independent in Your Daily Life, Why Shouldn’t Your Travel Be? I mean you’ve never been one to just follow the trends. You want to find your own way. To visit places that have captured your imagination for some time. That see things that mean something to you, not the one that just happen to be part of your set itinerary..
And the best kind of travel, it’s always personal. It’s about connecting with wherever you happen to be. And you always connect more with places that intersect with your own desires and dreams. Brilliant. I promise it will suprise you with the depth of diversity, colour, culture or natural beauty. Hands down! But how do you make the most of your trip? You see South America is different to the other places you’ve been. She’s bigger than you imagine or even larger than how she appears on most maps. At two and a half times the size of Europe she deserves some respect and some quality time. Because it’s a brilliant problem for a traveller to have ‘too much’ that’s worth seeing. And then there’s the fact you need to fly to so many different places. You want to see as much as you can, but don’t want to spend half your time in airports. How do you find the balance? Sure you’ve planned your own other holidays before, but it’s easy to feel overwhelmed with such a grand continent. You don’t need to read more guidebooks. Gloss over more articles. Flip through another brochure. Spend another evening googling for travel tips. You need someone who gets you. Who knows what you like and is clear on what you don’t. Someone who understands how important travel is for you and wants to make what you want and need, happen. You want someone who can take care of the small details like how to get from place to place so you can focus on the bigger more important questions. How should you explore Machu Picchu? Which adventure lodge should you base yourself at in Patagonia and what activities or hikes to take? Whether you should splashing out for a room with a falls view at Iguazu or if you’re up for the boat ride or helicopter trip? Someone who transforms building an extensive, personalised South American sojourn from scratch around your travel desires into an easy, enjoyable process where you look forward to making decisions instead of dreading them. South America is a different beast compared to other destinations in terms of complexity, but is all the more worth taming.